Liverpool do not have European competition to consider this term, so we can’t see Jurgen Klopp deploying completely changed sides in the same manner he did during 2015/16 – when at times he recalled players from loan spells just to fill the bench! In the League Cup 2nd Round against Burton, we started a first-choice XI pretty much… But with a game played on Friday against Chelsea and a big Anfield clash next weekend v Hull, we predict the boss will bring in some fresh faces this time. This game is a perfect chance to give Loris Karius a debut between the sticks. 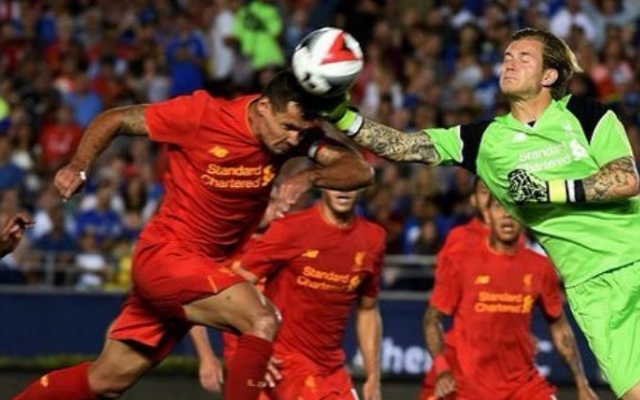 Until Simon Mignolet makes a mistake, the League Cup will be the young German’s best chance of minutes. Nathaniel Clyne seems to be able to play every game at right-back, while we think Alberto Moreno might get a chance on the left, enabling James Milner a well-earned break. Dejan Lovren is only just back from an eye injury, so we predict the Croat will sit out for Lucas to start alongside first-choice Joel Matip in central defence. Emre Can is back in full training and, with the Premier League midfield trio of Jordan Henderson, Gini Wijnaldum and Adam Lallana unbreakable right now, the League Cup gives our German anchorman a chance to fight for full fitness. Marko Grujic was stupendous in pre-season but hasn’t been given a chance to impress yet. Alongside Can, he could be given licence to bomb forward. We’re going with Adam Lallana on the other side, with the Englishman utterly crucial to our style and Klopp’s tactical demands. In the front-three, Roberto Firmino is unlikely to be risked after missing Friday, but Coutinho hasn’t completed a full 90 since before the international break and should get the nod from the left. Divock Origi is the natural choice for centre-forward, while we’re gambling on Ovie Ejaria to get the nod as well.